One of the greatest American theologians in our nation's relatively young history - at least compared to Europe - is the brilliant Jonathan Edwards (1703-1758). Edwards once wrote an article showing the eight characteristics of spiritual pride, a disease he says "is much more difficult to discern than any other corruption because, by nature, pride is a person having too high a thought of himself" and therefore one afflicted would be unable to see it. 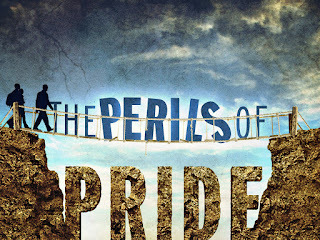 Edwards writes that pride "is the chief inlet of smoke from the bottomless pit to darken the mind and mislead the judgment, and the main handle by which Satan takes hold of Christians to hinder a work of God." Since pride is "so secretive, and cannot be well discerned by immediate intuition of the thing itself," it's best, says Edwards, to "identify it by its fruits and effects." 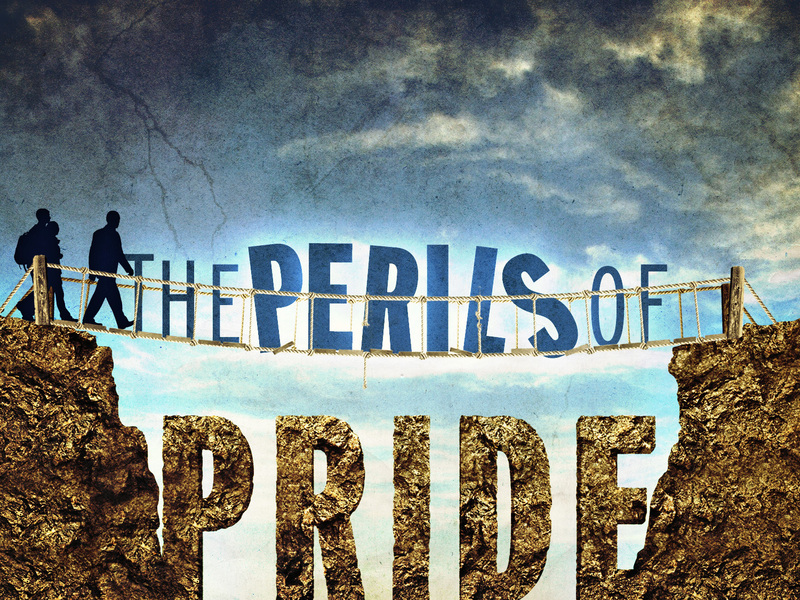 Edwards then proceeds to name eight characteristics of spiritual pride. The spiritually proud person is full of light already and feels he does not need instruction, so he easily despises instruction and the offer of it. Spiritually prideful people tend to speak loudly and often of others' sins - like the miserable delusion of hypocrites, or the deadness of some saints with bitterness, or the opposition to holiness of many believers - and always finds fault with other saints for their lack of progress in grace. Spiritually proud people often speak of almost everything they see in others in the harshest, most severe language. Spiritual pride often disposes persons to act differently in external appearance, to assume a different way of speaking, countenance or behavior to be seen and praised by others, whereas the humble person never sets himself up to be viewed and observed as one distinguished. Proud people take great notice of opposition and injuries, and are prone to speak often about them with an air of bitterness or contempt. Another pattern of spiritually proud people is to behave in ways that make them the focus of others, coming to expect deference from others and forming an ill opinion of those who do not give them what they feel they deserve. One under the influence of spiritual pride is more apt to instruct others than to ask questions. As spiritual pride disposes people to assume much to themselves, so it disposes to treat others with neglect. "We ought to be very careful that we do not refuse to discourse with carnal men because we count them unworthy to be regarded. Instead, we should condescend to carnal men as Christ has condescended to us." That there's some heavy, thoughtful mental food for those of us who are living in a culture of carnality. Before we speak a word of condemnation about those we perceive to be in sin, we might want to take stock of Edward's keen observations. Wham! Right between the eyes! Hmm have you read revive magazine? "we should condescend to carnal men as Christ has condescended to us". Perhaps should be the first statement breathed to oneself upon waking each morning. Let me testify that this is not something that goes away with age. I battle it all the time. I've been actively chasing after All Things God since 1963; we went on our first mission trip 45 years ago. In the intervening years, we've heard a lot of sermons, made a lot of decision, studied lots and lots of stuff. So we don't hear a lot that's "new". Part of it may have to do with expectations. It helps to remind myself daily that God, and His Word, are infinite, and that He always .. make that ALWAYS has more for the willing. Lest we forget-lest we forget ! " ““For he who endeavours to amend the faults of human weakness ought to bear this very weakness on his own shoulders, let it weigh upon himself, not cast it off. For we read that the Shepherd in the Gospel (Luke 15:5) carried the weary sheep, and did not cast it off. And Solomon says: “Be not overmuch righteous;” (Ecclesiastes 7:17) for restraint should temper righteousness. For how shall he offer himself to you for healing whom you despise, who thinks that he will be an object of contempt, not of compassion, to his physician? I believe one occupation that leads to this subject may be a church pastor. In less than a year the ‘Building and Grounds Committee’ met with the ‘Finance Committee’ where the pastor said, “There will be no exceptions!” I asked if he had made the decision of the Committees and he replied, “This church ran before you got here and it will run after you’re gone!” After a few years he left to begin a new occupation. At present, several miles from here a pastor wrote a paper declaring the King James Bible of 1611 is the only English translation free from error and new translations are satanic counterfeits.